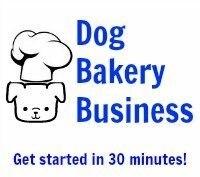 I have recently started making homemade dog treats and am looking forward to placing my first order with you so I can be really creative!!! My question is in the past 3 days I have made 2 different batches (of the same recipe) the ones I made first were stored in one bag and the newer ones in another...one batch (the new one) stayed nice & crispy but the others got a little soft. Could this have to do with humidity? It was extremely humid here the night I made the ones that got soft and not so much last night when I made the other...could this be the reason? Any suggestions? I use the dehydrator in any case as a rule, especially for a biscuit/cookie. Usually over night (7-8 hours) on a medium setting (115-120 degrees or so). Even then, it depends on how the treat is stored. You could use a low oven, but I find that it is a little too hot in there, myself. Absolutely the environment plays a part in your treats and storage. Humidity can play a factor in baking. I try to bake early in the morning. However if it is humid I usually bake my treats about 4 minutes longer to pull out extra moisture especially if I don't dehydrate them. I'm also from Massachusetts & right now the humidity is high. I would not package anything until I am sure they are completely dried. I suggest just leaving them on a pan in the oven (off) overnight & then out on the table another night prior to packaging. I had an issue as well where my twists, which were hard prior to packaging, became soft. I tried the above method (or dehydrate) & worked perfectly. Hope this helps. Without knowing the ingredients in your recipe, we can't answer for sure. But in general, it is best to remove moisture from the dog treats as much as possible. To do this, leave them in the oven after baking, or place them in a dehydrator. 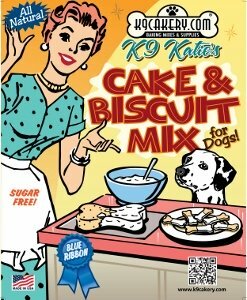 K9Cakery carries a mold inhibitor and a preservative that will help increase the "shelf-life" of your treats.